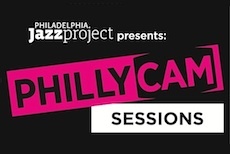 Philadelphia Jazz Project (PJP) is a special initiative which works to inspire a network to support, promote, archive and celebrate the diverse elements within the Philadelphia jazz community, with the larger goal of connecting to the global community. PJP is not a promoter. We are not, simply a presenter of concerts. We do not do "gigs." Think of PJP as a stimulus. Our goal is to expand the audience, increase creative opportunities and to extend the conversation about the music. We do this through special events, that preset a diverse and intergenerational picture of the Philadelphia Jazz communities. We at the Philadelphia Jazz Project have consistently employed a variety of venues in Philadelphia metropolitan area as well as the nearby suburbs to present quality Jazz programing. This includes well known Jazz venues and completely new venues not known for Jazz Presentations. Places like Venice Island Performing Arts & Recreation Center, Suzanne Roberts Theater and The Hatfield House In Fairmount Park are new to the Jazz scene. The obvious goal with new music in new places is to engage new audiences. 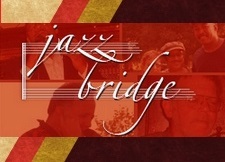 We at the Philadelphia Jazz Project create musical events with a curatorial eye. As a result, we are responsible for many first time musical pairings across the Philadelphia Jazz community. We examine the skills sets of various artists and match them with complimentary artists for first time collaborations. This of course, increases the likelihood of greater audience participation based on their allegiance to the artists we bring together. In addition, we challenged these artists to create theme-based works on a variety of topics that ranged from honoring historic jazz persona's, seminal jazz recordings, musical interpretations of the works of visual artists, holiday celebrations, international outreach, dramatic presentations, and the like. This of course, increases the likelihood of diverse audience participation based on their topical nature of the presentations. We have written over to 3,000 checks to Philadelphia-area artists and are soon to approach the $3 million dollar mark in spending towards our goals.